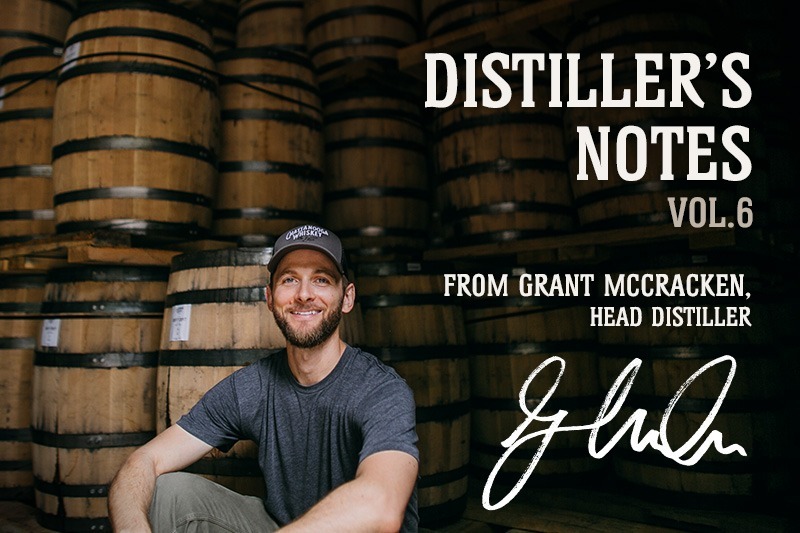 Distiller’s Notes Vol.6: Keep Your Receipt! Sitting in front of a table-full of whiskey samples, all I could do was scratch my head. This wasn’t a whiskey tasting, this was time-traveling! Weee! I shook my head and came to. It was time to taste them, group them and name them, one-by-one. I focused. It was time to blend them together to try and tell a story. But just like telling a story, it seemed impossible to say exactly how it happened; some things are impossible to understand without the context of something else. I took a deep breath. It was easy enough to quit the job, now came the hard part: figuring out what to do without one. I looked at my account balance from the ATM receipt: less than I thought – which wasn’t much in the first place. “Cost of Living,” I thought… “never truer a phrase”. I looked around for the best view of the bay, found a seat on a wall and pulled out the bottle of beer from my bag: one last luxury item before ‘austerity measures’. I turned the dust-filmed bottle and looked at the front: 2006. “Eureka, a vintage!” I yelped. “They saved it for me, all this time – no hidden fees”. I felt like I had just won a scratch-off. I levered off the cap and tipped a sip over the rounded spout… it warmed my belly. We’d figure it out, she’d say. We won’t back down, said Petty. “Too late to back down, actually”, I responded. I went into my closet to find some acceptable pants. “This might be a challenge”, I thought. I scanned… ah-ha! In the corner: a pleated artifact. I looked on either side of my discovery, seeing no other option. One pair of trousers to choose from: a department store from hell. I lifted the clothes on either side with the back of my hands, inspecting their condition. Memories of cubicles came back in a flash – barf! I yanked them off the hanger as some kinda pathetic pay-back and slid them on. The fabric puckered around the button; I zipped them up and noticed myself breathing in. I tugged in either direction – up, then down – momentarily denying my new body type. I snorted at the stupidity of the exercise – If you don’t run, you rust, said Petty. “Too many beers,” I replied. There was a rustle in my back pocket. I reached back and pulled out a piece of paper. It was old and bent up into some sort of blindfolded origami: a reminder of a nervous habit. I unfolded it. Yellowed on the edges, corners curled like an old newspaper – I could tell this thing was old. My first question: “If my pants were white, would they now match the receipt?” No matter. My eyes adjusted to the faded characters, focusing slowly on the date, time, place, aligned to the left. A receipt: 2008. A few lines below that: the name of the beer. The day and the beer came rushing back. I could taste it, smell it… and the anxiety of the day. I wandered out of the closet, turned to the window and leaned on the edge of the bed – thinking of every detail I could remember, trying to fill in the blanks. I rubbed the charred, gray hairs newly sprouting from my chin. I remembered the fire back then. Where was it now? A little more hardened, a little less foolish; burning, but not on fire. Something in between. Fire – turned into something else. Smoke? I picked up a palmful of malt, brought it to my nose and huffed: smoke inside! I tipped my head, funneled the grain into my mouth and crunched down. Inhaled remnants of ash curled, snake-like through my nostrils and it seemed some kind of marvelous, eating and breathing them in. I shook the malt into the hot mash. The grain swirled and their essence of hardwood steamed into my face. “Wait!” I gasped. “We need you in the whiskey!” Memories of a beer and an old, folded receipt flashed and faded with the steam. I shook my head and stepped away, walking over to an empty barrel. I clicked on the flashlight and aimed the beam of light into the hole – leveling my eye against it like a telescope. The charred strands of hardwood rippled in the shadows of ashen dust: smoke! Step one: slice into uniform, hardwood, primal cuts. Step two: stack ‘em high and marinate in fresh air and fungus. Step three: trim, bend and tighten into a liquid-tight, final assembly. One last step: hold against an open flame, add fresh air and more fuel. A trinity of fire. The flames rose and the wood crackled into a chorus that sang pyrolytic liberation. Black, cellulosic flowers bloomed, curled and – without warning – the orange light extinguished into a parachute of smoke and steam. The gray pollen swirled, dangling from a swarm of invisible bees, pouring through embered hardwood’s flesh and bone. I shook my head and came to. Smoke! I opened the valve, listened to the whiskey splash into the barrel and took a sniff. The spirit and smoke rushed into my nostrils like some kind of white fire, igniting a memory, and then another… milled, mashed, fermented and distilled.